April 15, 2019 /in Roofing Money Saving Tips /by John L.
In the spring, the sun comes out, the snow melts…and many homeowners start to worry about their roof. If winter was unkind to your roof, you may be considering roof replacement. Roof replacement seems like a big undertaking, but it’s not as bad as you may think. Better yet, roof replacement adds to the look, comfort, and value of your home. It’s an investment, but one that quickly pays for itself in surprising ways. For almost all homeowners, the cost is the biggest concern when considering roof replacement, but the truth is, the benefits of a great roof often outweigh the cost. Is it time to replace? And if so, what you should expect in the process? Here’s what you need to know about roof replacement. Obviously, the roof on your home is necessary for your protection and to keep out the weather elements, but most homeowners often overlook factors in their roof’s ventilation performance (or the lack thereof). We often forget how important ventilation is in our homes. When you have living, breathing families on the inside, they’re producing heat, moisture, and air. Not only is the roof keeping the air and bad weather out of your home, but it’s also holding in the air and heat. Often the roofing problems we see come down to ventilation issues. If you think about the function of a roof, the cool air should enter from the eaves into the ventilation (the grids on the underside of your eaves). The air should be exhausted in an equal amount at the ridge of the roof. The hot air should escape from the top. When warm air doesn’t escape and becomes trapped, it gets very hot, causing the shingles to curl and eventually break. Another indicator of a ventilation problem with your roof is the appearance of icicles underneath the gutter line. This is a sign your attic is too hot. Your home is melting the ice and snow underneath the top, forming an ice dam. That moisture seeps into and under the shingles, causing major problems like leaking, damage to the ceiling or insulation, and mold. Some companies might simply tell you the problem can be fixed by patching with shingles, but that’s not a sustainable, long-term solution. In the long run, a patch job will end up costing you, the homeowner, a lot more money because it doesn’t address the underlying issue. Instead, a trained professional should do proper measurements to factor in the amount of exhaust, heat, and ventilation. Not only do these factors contribute to the life of your roof, but they ensure your warranty stays valid as well. Putting new shingles on a damaged roof may invalidate your warranty and cause bigger problems in the future. Think of it as a band-aid to an injury. To learn more about the importance of roofing ventilation, don’t miss our video. Is It Time Consider Roof Replacement? Roof staining and discoloration, which indicates water damage. The state of the flashing. Is it loose, detached, or cracking? The state of the gutters. Are they clogged, leading to water seepage and other issues? Are they properly attached and working? The interior ceiling of the home. Look for any water damage, leaking, or signs of roof failure. When considering roof replacement, it’s easy to focus on price, but it’s also important to ensure your new roof will address ventilation or the root cause of your roofing issues. When our Weather Tight experts assess your roofing needs, they always look at the underlying factors like the ventilation system, the state of the flashing, the gutters, and the interior of your home. Your free in-home roof assessment and estimate begins with a satellite image of your roof, giving our experts the dimensions, pitches, and protrusions, they need to consider. This helps them to gather exact measurements for their report. Our consultants will go inside your attic, given that they have ample availability to do so, to examine the area that’s supposed to be ventilated. They’ll take a look at the state of your insulation, the ventilation system, and areas like the roof deck for moisture, damage, and breakage. 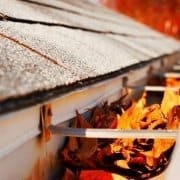 There are many factors indicating when roof replacement is needed. Your Weather Tight expert will walk you through many of the considerations. If you decide to comparison shop, it’s important that any expert walks you through all your options and explains the process. Is the old roof being torn off or is the new roof material being layered over the top? How is the roof being installed and what is the process? What brand or products are used? How are the nails placed and how many were used? Was the ventilation assessed and how is it being considered in your new roof plan? Ready for An Update? Should You Choose Metal or Asphalt for Your Roof? Once you’ve determined you’re ready for a roof replacement or event just considering looking further into it, the fun begins: deciding on the look of your new roof! When deciding on the style of roof, the biggest question is: should I choose metal or asphalt for my roof? First of all, there’s nothing wrong with an asphalt shingle roof. Good quality shingles will come with a 20-year warranty (bear in mind, it typically doesn’t cover labor). So, do the research on your current roof as well as the new roof material before you begin. 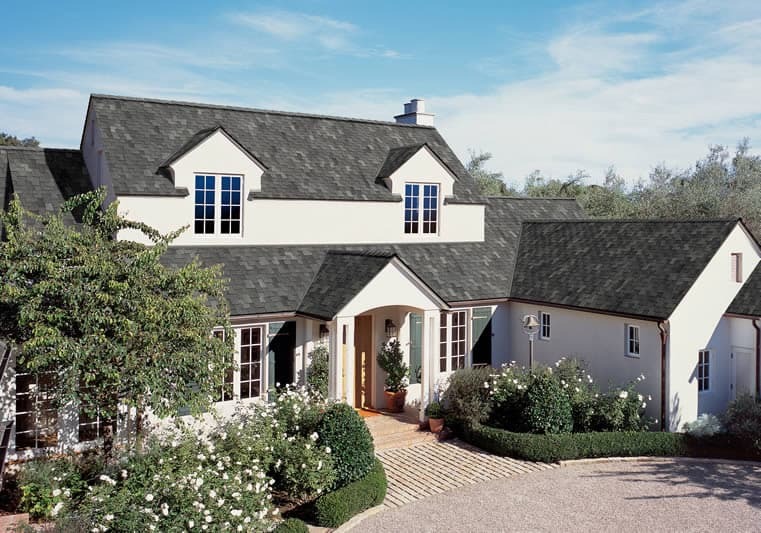 Most shingle roofs will last around twenty years maximum. If you’re looking for a more permanent option, a metal roof is a lifetime solution that can be passed down from generation to generation. Surprising savings on cost, thanks to energy efficiency. No noisier than asphalt shingles. May improve your home insurance costs. Protects and stands up against heat. Fewer environmental risks than asphalt. Not to mention, they look pretty cool. If you decide to go with a metal roof, there are so many colors and styles available. While the initial cost of a metal roof is higher than a shingle roof, the lifetime cost is much lower. For these reasons, we’re seeing a growing trend toward metal roofs here in the United States. They’ve already become quite popular in Canada and Europe. Metal roofing improves the look of your home and provides energy efficient advantages. The roofing has a protective coating that stands up against heat, stays cooler, and works with your air conditioning to keep your home cool in the summer. In the winter, metal roofing prevents snow buildup and stands up to wet winter weather. Whatever your choice for roof replacement, we’ll help you explore your best options. Our Weather Tight team works carefully to protect your home so replacing your roof is a relatively painless process. There will be some noise, dust, debris, and vibration, particularly in the attic, but most customers report the process was faster and easier than they imagined. Weather Tight is proud to participate in the Roofs to Roads program. When a roof is replaced, the shingles are recycled and made into roads. This keeps the roof replacement process environmentally-friendly and worry-free. Our Weather Tight experts are happy to discuss your options and do a free assessment and demonstration on your current roof. If you’re considering roof replacement, let us help improve the look, energy efficiency, and comfort of your home today! Post images 1 & 2 licensed for use via Pxhere. 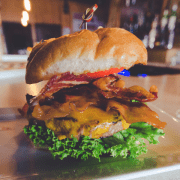 Because EVERYTHING is better with BACON! Matterhorn Metal Roofing- The experts on top! When is the Right Time to Replace Old Windows?